What are your favorite cannabis effects and why? A frequent resident on dispensary shelves, the Green Crack cannabis strain has earned a reputation for its potency and focused effects. But, does the data on this plant match up with common understanding? Here's how to separate myth from reality with this delightful cannabis flower. While the moniker “Green Crack” may be off-putting to some, this plant is famous for its high-quality experience and has produced numerous offspring in its day. 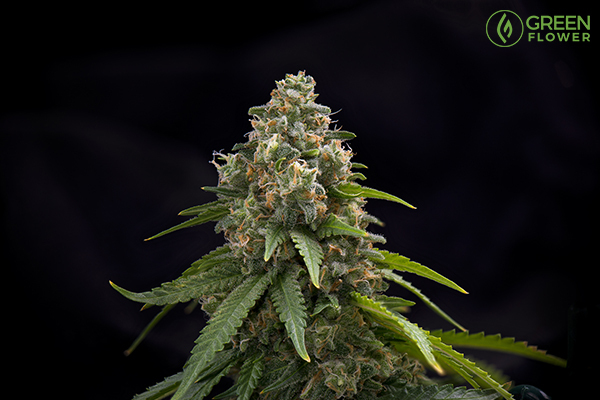 As with many classic strains, the exact history of this cultivar is difficult to pin down. Yet, this plant is expected to have made its debut in the 1970s, a time of great innovation in cannabis culture and horticulture. Should rumor be correct, the herb was originally released under a different name. The plant was only dubbed “Green Crack” in recent decades by the legendary rapper, entrepreneur, and cannabis activist, Snoop Dogg. However, following the tradition of most popular cannabis strains, this plant has likely come a long way from the herb that first blossomed over 30 years ago. 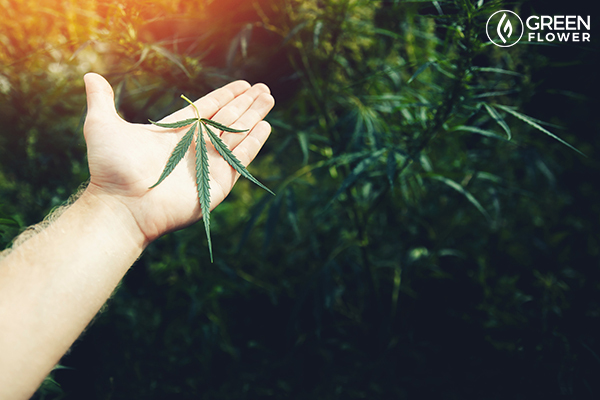 Each cannabis plant, just like a human child, expresses different characteristics each time it is bred. While many cultivators opt for identical clones of this strain, the plant has been around long enough to likely produce a diverse range of genetic characteristics. Greater genetic variation means that a Green Crack sample found in one location may be quite different from a sample found in another location. In fact, some of the most basic characteristics of this plant are subject to debate. For example, many cultivators label this strain as a sativa-dominant hybrid, growing to tall heights and expressing mostly narrow-leaf characteristics. However, some access points classify the herb as an indica plant, expressing more broad-leaf characteristics. Though the herb may have originally been bred from a Skunk #1 parent plant, the cultivar now expresses a fairly diverse array of physical characteristics and perhaps even experiential effects. Green Crack is considered a potent cannabis strain. This plant is most often thought of as an energizing strain with a strong euphoric effect. However, it’s important to note that different variations of this plant may produce different results. For the best guess as to what type of experience this plant provides, it’s best to look at testing data or talk with a budtender. High in THC, this plant can produce a strong psychoactive experience. In fact, the herb can test with between 15 and 22% THC, making it one of the more potent flowers available at dispensaries and other access points. With such high levels of the psychoactive, consumers can anticipate a pleasant sense of euphoria and temporary distortions in the perception of time and memory. The herb may also inspire new perspectives about space and movement, enhancing sensory experience and providing a new lens with which to view the world. 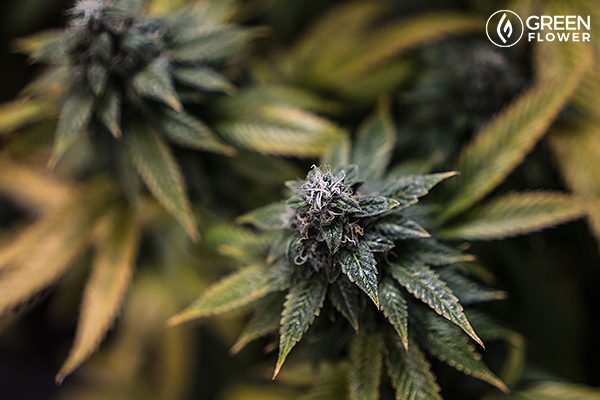 While this plant may inspire moments of bliss and relaxation, the cultivar can also come with some negative side effects. As with all high-THC strains, it’s not uncommon for consumers to experience a more rapid heartbeat, anxiety, or even headache after consuming this plant. For best results with cannabis, it is best for novice consumers to begin with samples lower in THC and work up to high-THC plants like Green Crack as needed. The medicinal qualities of Green Crack are very real. To really get a sense of the medicinal qualities of this popular cultivar, it’s good to get familiar with the herb’s chemical constituents. This plant may be high in THC, but the cannabinoid alone is not what gives the herb it’s unique personality. Instead, current understanding suggests that it is the interaction between chemical compounds like THC and potent aroma molecules in the plant that give each strain its individual appeal. The molecules that give plants their scent are called terpenes and the Green Crack strain produces its own special blend. Myrcene is a musky aromatic compound sometimes found in mango and often found in lemongrass. The earthy molecule is a regular feature in many cannabis strains, as the herb is a particularly high-quality source of this compound. Current understanding suggests that myrcene may be responsible for the "couch-locking" effect that many cannabis plants provide. Indeed, preliminary evidence indicates that the molecule may have muscle relaxant properties. This may make high myrcene strains like Green Crack an ideal choice for consumers hoping to ease muscle tension and relax away pain. Both myrcene and THC are thought to ease muscle stiffness and promote physical relaxation. 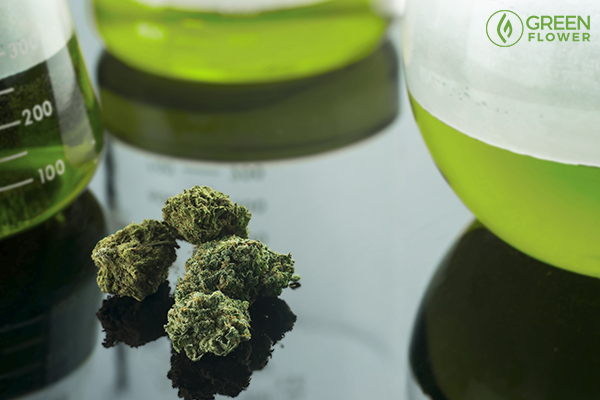 Terpene profiles are an important part of any given cannabis sample. While myrcene may be a sedative and hypnotic terpene, a-pinene is the opposite. Early research suggests that this terpene may have memory and attention-enhancing effects. This potentially gives strains like Green Crack a more focused and attentive experience. Of course, thanks to the high levels of THC in this strain, some temporary memory impairment is standard for this flower. Apart from creating a focused feel, a-pinene may have anti-inflammatory and bronchodilatory effects. This may be useful for those with inflammatory conditions that respond well to THC. Though, it's always important to note that clinical research on the use of specific cannabis strains for individual ailments is sorely lacking. Right now, things are mostly theoretical. Searching for relief from stress and anxiety? Emerging preclinical research has found that beta-caryophyllene, a pepper-like terpene found in the Green Crack cannabis strain and many others, has potent anxiolytic and antidepressant effects in rodent models. Like many other terpenes, including myrcene and pinene, CBP also features pain-fighting and anti-inflammatory effects. Together, the combination of these three powerful terpenes and the high THC content in Green Crack suggest that the herb may have relaxing, pain-fighting, and slightly hypnotic effects overall. Want to Grow Your Own Favorite Cannabis Strains?